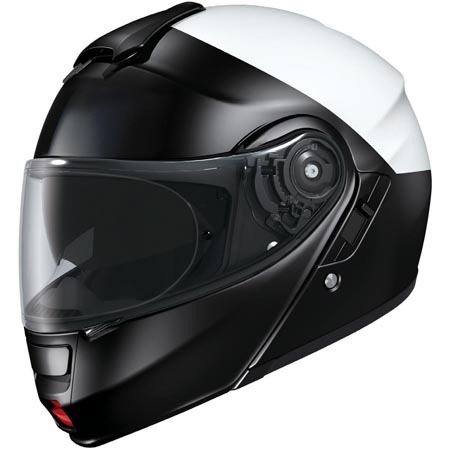 It is a premium modular helmet designed for today’s rebirth motorcycle rider and also, it is popular in the street and market. 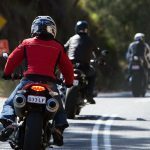 This is best suited in high speed riding, sports riding, adventures and touring for this generation. 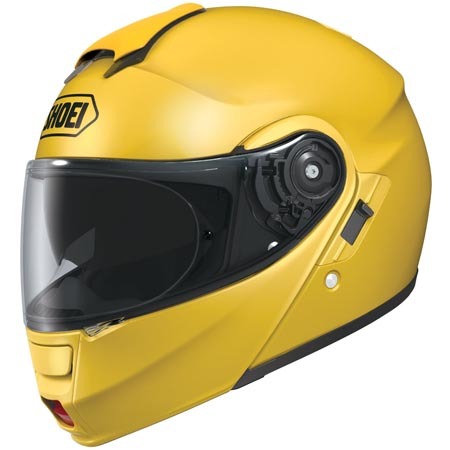 The Shoei industry used the best quality materials for the development of the Neotec helmet, which can be suitable for riding during various seasons – it has UV protection to perfectly deal with sunlight. Pros: The Shoei Neotec Modular Helmet provides the motorcycle rider with great benefits. It is DOT Certified so your safety is guaranteed. It gives excellent fit and comfort to the rider. The face shield of the helmet provides protection from UV and to get rid from sunlight. It has anti-fogging system during cold weather condition. Cons: The Helmet’s weight is quite heavy. The left side Chinstrap is too short, it measured 12 centimeters (4.7 inches) from the inner shell to the most distal side of the D ring. It is available in solid colors only. It doesn’t have any artistic designs. 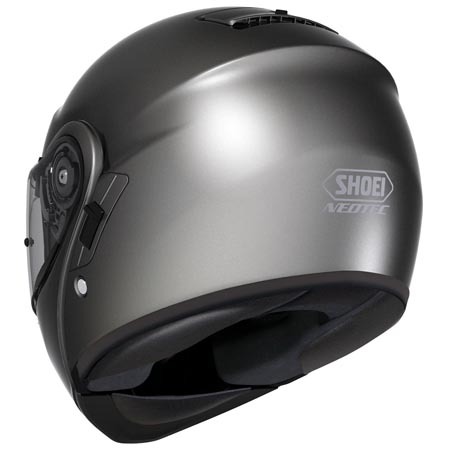 The Shoei Neotec Modular Helmet has Multitec’s modular design used as backbone, analyzed with scrupulous eyes, and tweaked so slightly to yield the most progressive modular helmet. 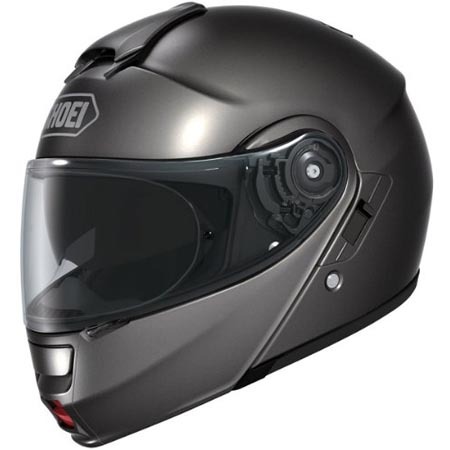 It acquires improved shell aerodynamics, wider and higher field of vision, reduction with the wind noise, an inner sun shield, and a removable, washable and replaceable liner system. The forehead outer shell is raised to accommodate the internal sun shield which allows the inner EPS liner of the helmet to remain intact. The Flip-Up Chin Bar and Face Shield provides the suitable and versatility of a full-face helmet that converts for easy configuration. Neotec’s lightweight chinbar and face shield rotate with smooth precision on a single axis point, yielding the seamless versatility of a true two-in-one design. 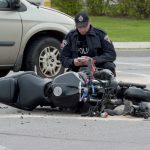 The Built-in QSV-1 sun shield for the inner sun shield that exceeds the ANSI Z80.3-2010 standard for non-prescription eyewear that gives the rider instant relief from sun glare in one quick motion. 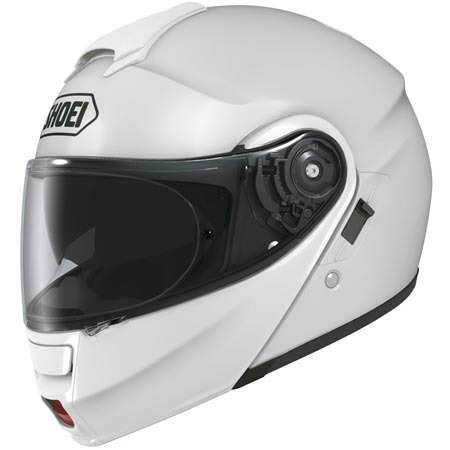 CNS-1 Shield and QR-N Base provide wider and taller vision for the rider. The CNS-1 shield blocks 99% of the sun’s damaging UV rays and SHOEI’s 3D injection-molding process ensures a distortion-free view throughout the entire field of vision. Pairing with the Neotec-exclusive QR-N base plate system, shield changes and base plate function. Equipped with Pinlock® Anti-Fog System or Fog-Resistant System which provides the most effective anti-fog protection in existence. 360° Pivot Locking System is road tested and made of high-quality stainless steel materials to ensure a safe and secure closure when the Neotec’s chinbar is in the down. The Neotec’s Shell-Integrated Spoiler technology incorporates the aerodynamic advantages of shell which maintains the stability of shell thickness for the proper strength and weight. It reduces lift and drag during high-speed riding, yielding a stable and less fatiguing ride. The Noise Reduction Design reduces wind and road noises. 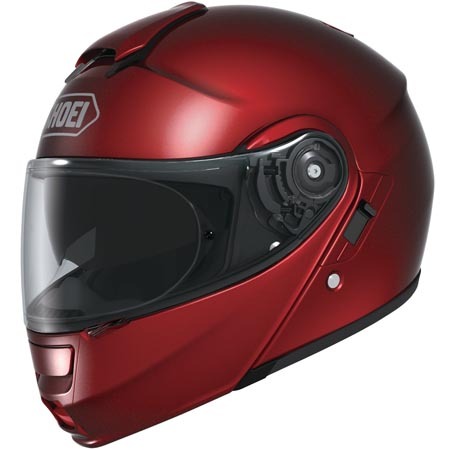 The optimal shell aerodynamics and liner components designed to prevent unwanted road noises from entering through the bottom of the helmet. 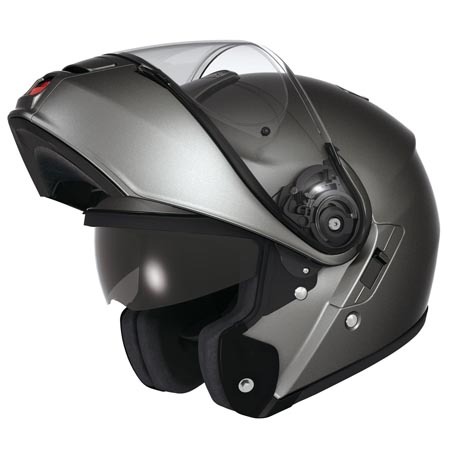 The dual-ridge window bead and the chinbar’s “Vortex Generator” lip work together to reduce noise and manage airflow around the helmet. 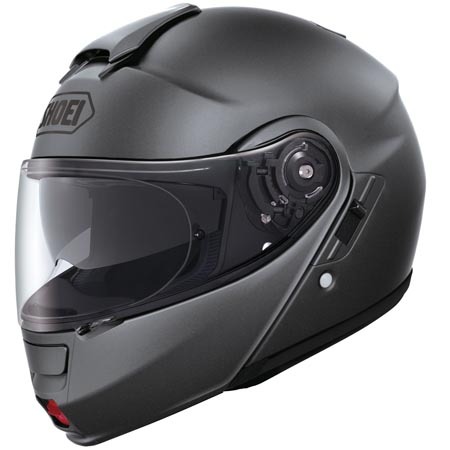 The Shoei Neotec Modular Helmet have the features and technology which can provide your needs during your road rides. 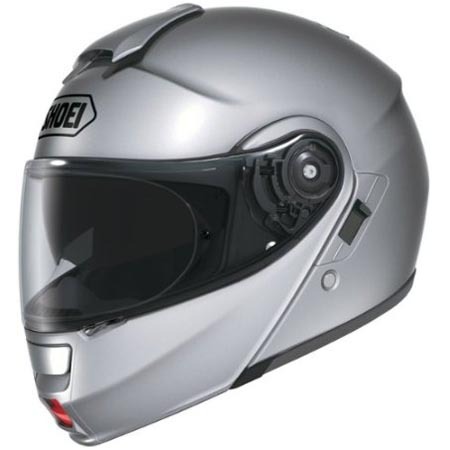 It is one of the best motorcycle helmet in this generation. This will help you deal with the road noises that keeps on bothering your everyday ride – it is the best choice in high speed riding. It best suits you while riding on daytime especially when the sun is up – with its sun shield, it anticipates your needed comfort. Also, it has a anti-fog system to clear vision during cold season. 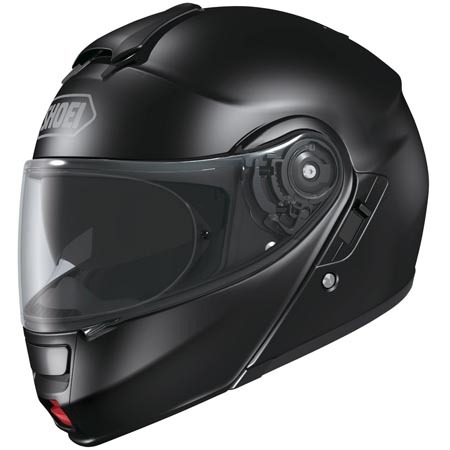 When it comes to safety, it is a modular helmet type which has full-face that will cover your entire head and considering that it is already DOT certified. 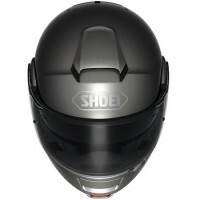 When choosing a helmet, “Safety first” is a must and based from the customer’s experience, this helmet is a life saver.